“I’m afraid it will get down to about 29-degrees at night this weekend,” he told me with growing concern. I asked, “Do you have a sleeping bag?” He hesitated, “I do, but not a very good one.” I asked him what he meant and he then explained, “Well, someone gave me a sleeping bag, but it’s a children’s sleeping bag so it’s not very big.” I smiled as I gave him a brand new full sized adult sleeping bag and two new blankets. As we continued to talk he told me his name was Lucian and he is 56-years old. He then talked about how he once had a home, but lost it due to finances. It was the home that he grew up in and it once belonged to his parents. 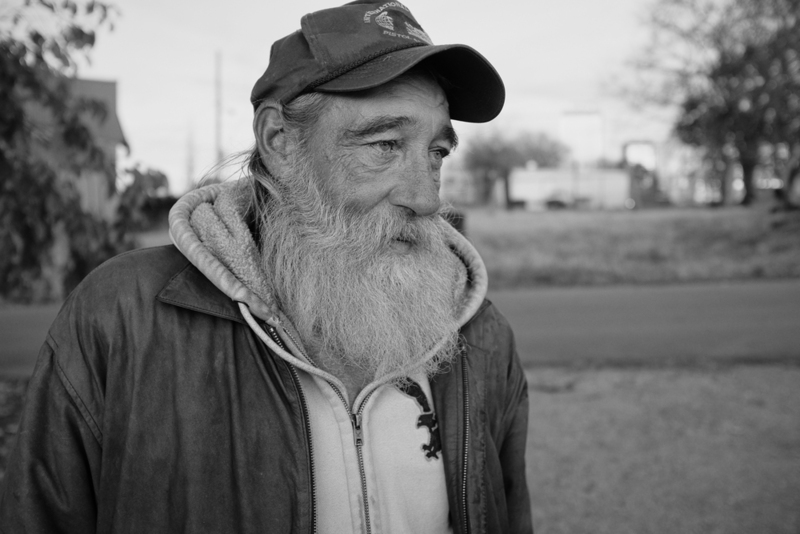 His brother no longer speaks to him because he lost the family home and is now homeless. His brother is upset about the loss of the house, according to Lucian. The grey bearded man now sleeps under a tree in downtown Nashville. He has no tent because he fears police will ask him to leave if he were to set up a tent. I let him dig through a bag of clothing that someone gave me and he picked out a few items, which made him smile from ear to ear. He also picked out clothing for a friend who sleeps in the same spot. I think that made him a little happier today as compare to yesterday. I love to be able to give items to homeless that they can pass along to others, I think it gives them a touch of dignity and grace. I once heard a quote Ambrose Bierce that reminded me of his fear to conquer such a little feat of setting up a tent that stated, “Liberty: One of Imagination's most precious possessions.” I realize the tent was not an imagination, but to imagine his fear of his liberty to set up a tent disturbed me as he was on a property that was out of the eye of the public. As for Mr. Ambrose Bierce, he was an American journalist who lived from 1842 to 1914.